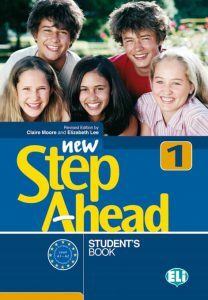 New Step Ahead is a 3-level English course for students at Lower Secondary School designed to capture and keep students’ interest as they learn English. 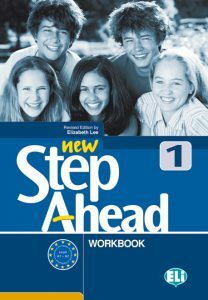 The course is also available in a six-volume version (Split Edition). 10 units organised into Modules: Starter, Grammar, Steps to Communication and Skills. Modules end with a Culture Site, a progress check, an Exam Practice section (Cambridge English: Key; Trinity) and a Final Check. Films, games and interactive materials for fun revision. 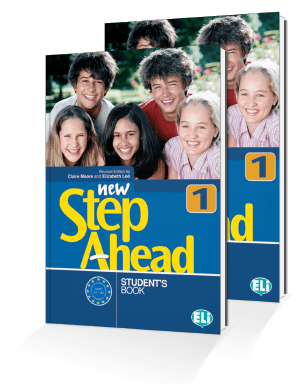 10 units follow the order of the Student’s Book. Grammar Reference & Minidictionary sections. Audio CD with dialogues and listening activities. 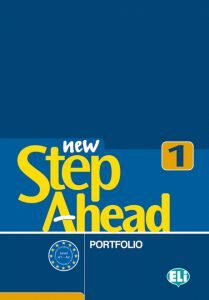 Passport, Language Biography & Dossier – selfevaluation and tracking of students’ progress. Progress tests for each level. Full teaching notes; syllabus planning for each Module. Answer Keys and transcripts of all recorded material. 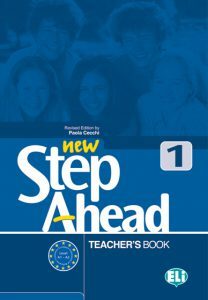 Extra information and teaching ideas.